FRUIT GROWING RESEARCH is defined as an open access journal that uses a funding model that does not charge readers or their institutions for access. By 'open access' this journal, we mean its free availability on the public internet, permitting any users to read, download, copy, distribute, print, search, or link to the full texts of these articles, crawl them for indexing, pass them as data to software, or use them for any other lawful purpose, without financial, legal, or technical barriers other than those inseparable from gaining access to the internet itself. The only constraint on reproduction and distribution, and the only role for copyright in this domain, should be to give authors control over the integrity of their work and the right to be properly acknowledged and cited. The journal allows the author(s) to hold the copyright without restrictions. This journal does not apply article processing or submission charges. You are free to: share — copy and redistribute the material in any medium or format or to adapt — remix, transform, and build upon the material for any purpose, even commercially. 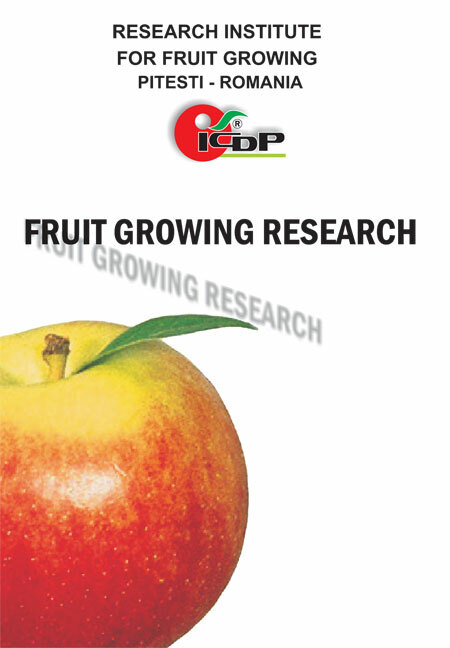 FRUIT GROWING RESEARCH is an international journal, which has been issued under the care of the Research Institute for Fruit Growing Pitesti, Romania. Fruit growing research is an annual journal aimed at disseminating significant research and original papers on genetic resources, breeding of deciduous fruit trees species; fruit sustainable technologies – environment protection; propagation, virology and tissue culture, postharvest, that can be of interest to a wide audience of plant scientists in all areas of fruit growing. An international Editorial Board advises the journal.